Greg Holland was considered one of if not the best reliever in baseball from 2011 through 2014, registering an ERA no higher than 2.96 and as low as 1.21 during that time. Even in 2015 when Holland ended up hurt and subsequently needed Tommy John surgery, he was still good for a 3.83 ERA and 32 saves. 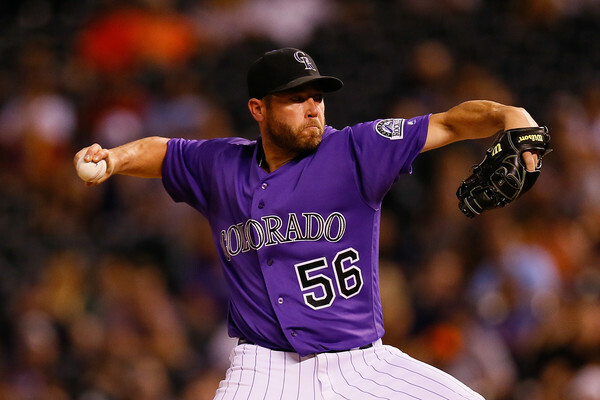 After missing all of 2016 recovering from his elbow surgery, Holland signed with the Colorado Rockies for the 2017 season and showed that he hadn’t missed a beat. Despite the hitter-friendly confines of Coors Field Holland appeared in his third All Star Game and co-led the National League with 41 saves. 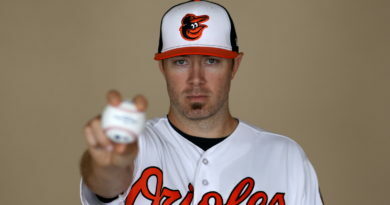 But Holland, like many other top free agents, remains unsigned despite pitchers starting to report to Spring Training. Some teams are wary because Holland “fell off” in the second half. The reliever was brilliant in the first half of the season, posting a 1.62 ERA and notching 28 saves. However after the All Star break, Holland’s ERA ballooned to 6.38 and he recorded just 13 saves. When you first glance at those numbers it seemingly becomes clear why teams are wary to offer Holland a multi-year deal for however much money he may be asking for. But then you dig deeper and find that Holland was actually brilliant for five out of six months of the regular season. In the month of August Holland appeared in 11 games, pitching 9 and one-third’s innings, giving up nine earned runs for a 13.50 ERA. But in every other month Holland recorded an ERA no higher than 2.25, and had a sub-2 ERA outside of July (his 2.25 month) and obviously August. Plus after that disastrous August Holland immediately bounced back, recording a 1.86 ERA the rest of the way and locking down another five saves. 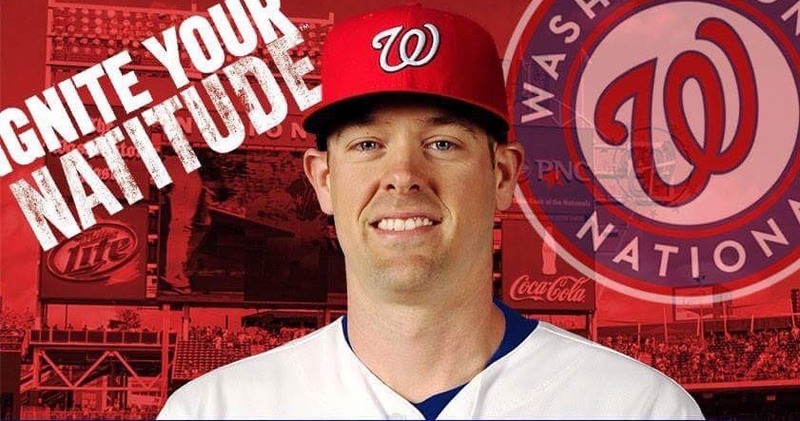 By all means Holland still checks out as a top-tier reliever, and maybe now after a full season removed from his surgery Holland can erase that ugly blemish from 2017 and continue to return to his peak. A two-year deal with an option for a third year seems reasonable. And the St. Louis Cardinals should be the one to offer him that contract. In 2017 the Cardinals had eight different pitchers record a save. There were 17 blown saves on that Cardinals staff. This offseason the team waved farewell to four of those pitchers and 36 of their 43 saves. So far the team has brought in Luke Gregerson and Dominic Leone to reinforce the bullpen, but those two are far from solid closers. They are reliable setup men at best. Enter Holland, who locked down 41 saves by himself last year and blew only four other opportunities. Holland alone could be the difference in the Cardinals keeping up with their division rivals in Chicago. Earlier this offseason St. Louis acquired slugger Marcell Ozuna from Miami and gave themselves their first bona fide slugger since Albert Pujols. Ozuna shored up the lineup and gave the Cardinals some thump to keep up with Kris Bryant and Anthony Rizzo. But now the Cubs have signed Yu Darvish and the gap between the two teams has widened again. The Cardinals aren’t about to go sign Jake Arrietta as a counter move, because they have depth as far as the rotation goes. With prospects like Jack Flaherty and Dakota Hudson in the wings as well as Alex Reyes coming back from Tommy John surgery, the Cardinals clear move is to get themselves a star for the bullpen. Someone (Holland!!) who can shut down the ninth when guys like Bryant are at the plate. St. Louis has missed the playoffs for two straight years now, the first time since they sat out the 2007 and 2008 postseasons. With such a run of success the team and fanbase are rightfully antsy to get back to October. Holland will help them get there. The Cardinals are still about $57 million below the luxury tax threshold and with relievers like Kenley Jensen and Cody Allen being paid around $10 million annually John Mozeliak shouldn’t find it hard to rationalize giving Holland something like a three year deal around $27 million total. ← What’s next for the Washington Redskins?